In the case of a by-election in Hougang, some residents who have before supported the Workers' Party said they would continue to do so despite the scandal involving Yaw Shin Leong. Several residents reiterated their support for the opposition party, crediting its work in the grassroots and the "swift action" the party took to deal with Yaw. On Thursday, WP announced that it was expelling Yaw from the party for not addressing allegations regarding his private affairs. The expulsion also meant that he would also no longer be a Member of Parliament for the single member constituency. Said SIA pilot Travis Xu, "Hougang has always been a WP stronghold, so I'm planning to uphold that tradition. I'm sure whoever they send to represent WP will not fare that badly." "Don't think we'll waver so easily just because there's a hiccup," the 31-year-old added, referring to the brouhaha caused by the affair. He also said that the WP should be credited for its "swift action" taken, and dismissed the possibility of another opposition party being winning the by-election. Similarly, part-time administrative staff Seveanthi maintained her support for WP. Said the 47-year-old, "The Workers' Party will come back. I'm very strong about it." She added that she preferred the WP to the ruling People's Action Party (PAP) because the latter has "too much politics" for her to deal with. "I'm not saying that the PAP did not do anything, but we have a lot of problems and they have their own politics for us on the table. They're supposed to solve the problem, but they have a lot of ABCs, categories, this cannot that cannot, which makes us more stressful," she said. Another WP supporter, Leon Tan, 26, is satisfied with the WP's work in Hougang and is sympathetic to Yaw's predicament. Said the 26-year-old: "I'll still vote for the Workers' Party. What happened was a personal affair. As long as it doesn't affect us, I'll vote for WP." However, other residents will not vote along party lines, but according to the calibre of candidates fielded. Said self-employed worker Jean Lim:, "It really depends on the candidate, regardless of the party. Let's be objective. Look at the candidates and what are their qualities." The 39-year-old, who has been living in Hougang for more than 20 years, added that she had always voted for WP's Low Thia Kiang in previous elections as he is "credible". She doubted that by-elections will be held soon, as it is up to the Prime Minister Lee Hsien Loong, who belongs to the PAP, to decide on the date. "The sentiments are still not favourable [to PAP], why should he call for a by-election now?" she said. Housewife Yeo Lui Heng echoed Lim's thoughts, saying that her vote would "depend on the candidate". Said the 58-year-old: "If he is a new candidate, we won't know his capability. I will look at the capabilities of both sides." I am so thankful we have yahoo news. so sick of those one sided media. WP should introduce a new and better candidate to the people of hougang ASAP, I think there is some time to buy, as PM Lee will not call a by election so fast at least for the next 3 month. for 3 month i am sure WP has some better people to take over Yew. PM Lee not stupid, he will declare the by-election when the PAP is at its best in Hougang and when they are ready. You think he will call by-election when not ready? The Singapore Democratic Party's primary concern is that the constituency of Hougang remains in the hands of the opposition. It must not be re-captured by the PAP. This being the case, and if the circumstances remain the way they are, the SDP will not contest in a by-election in Hougang. Reform Party secretary-general Kenneth Jeyaretnam has issued a statement on the Workers' Party's expulsion of Mr Yaw Shin Leong. We note the Prime Minister's comments yesterday that he will consider carefully when to call a by-election for Hougang SMC and that this is because, "….there are many more important issues on the national agenda at the moment." Democracy is The National Agenda and nothing can ever take precedence over that. The people of Singapore's democratic right to be represented in Parliament by representatives of their choosing must always be the overriding concern. The people of Hougang are now without a representative. By expelling their MP and sending in other representatives from the party, the WP has taken democracy a step backwards. For the Hougang voters to be served by MPs from a neighbouring constituency for whom they did not vote is effectively abolishing election in favour of selection. It is no surprise that the PM should think this acceptable and be in no hurry to rectify the situation but we do not believe that all the blame can be laid upon Yaw Shin Leong. MPs have marital breakdown and there are enough examples of divorced and re-married MP's and Ministers in Parliament. Yes, the WP and the leadership who chose and mentored Yaw Shin Leong should have provided an account and also brought Yaw Shin Leong to accountability rather than giving us silence by expelling him. However, the deprivation of an Opposition representative in Parliament through the PM's delay in holding a by-election is an even more egregious violation of the rights to representation of the 40% of the Singapore electorate who voted for Opposition candidates in the last GE. In a democracy the decision upon whether to call a by-election should not be the Prime Ministers' prerogative. Singapore is not the PM's personal fiefdom. He does have the right to decide when and whether the voters of Hougang should get to choose a new representative and when to call general elections as well as by-elections. But this right is one that was appropriated by amending the constitution. And the government's ability to amend the Constitution at will without consultation of the people is a result of decades of unchallenged power. The solution is greater Opposition representation in Parliament not less. The Reform Party calls upon the Prime Minister to put democracy and the Nation first. As a Nation we are advancing from a position where the government has already been called to a majority on Nomination day to one where almost every seat is hotly contested. Singaporean voters are less afraid, less apathetic, more sophisticated and less isolated. We must make sure that our processes and laws also keep up with the times and entrench the protection of democracy as a system of government. In other advanced Nations, free and fair elections are upheld by entrusting the conduct of elections to an independent body. The independence of these election commissions, particularly in commonwealth countries, is fiercely protected. Originally Singapore's constitution, like the Westminster one on which it is modelled, provided for a by-election to be held in a reasonable time frame once a seat fell vacant. However this was changed, presumably because the PAP feared that they would be more likely to lose seats at by-elections than at general elections and to keep certain members of the Opposition who threatened them from getting back into Parliament. In Westminster itself the incumbent Party (that would be the Worker's Party here) has the right to move a writ to set in place a motion for the by-election and to select the date. The government and the Prime Minister have no rights to interfere with that schedule. This gives the incumbent Party a slight advantage but also puts the matter straight back into the hands of the electorate. All sides consider this slight advantage to be fair as there can be no doubt that the people have previously voted for a Party as well as an individual. The Reform Party calls for the government to remove the constitutional amendment giving the government discretion to keep seats vacant between general elections, to remove the PM's discretion as to when a by-election must be called and above all to move the Elections Department out of the Prime Minister's Office. We need to set up a totally independent Elections Commission to safeguard free and fair elections if we are ever to join the ranks of advanced Nations. The Reform Party similarly calls on the people of Singapore who have clearly shown that they strive for democracy to keep up pressure on the government and to prevent us losing the little progress we have so far gained as a Democracy . i think whatever Reform Party says...... we all also don't care liao. Yaw can go to another party like PAP, RP or SDP. Confirm keep the seat haha. they want him or not? Relaxing at the coffeeshop at Block 322, Hougang Avenue 5 on Saturday afternoon with his friend, retiree Philip Toh, 68, was reminiscing about that milestone day more than 20 years ago, when Workers' Party's Mr Low Thia Khiang wrested Hougang ward from the People's Action Party (PAP). That had been a heady time for the two long-time residents and WP supporters. And when this reporter asked if the latest scandal involving Mr Low's young successor as Member of Parliament (MP) for Hougang had undermined residents' sentiments, Mr Chan Cheng San - who had been relatively silent up till now - chimed in: "You don't know this neighbourhood very well do you?" 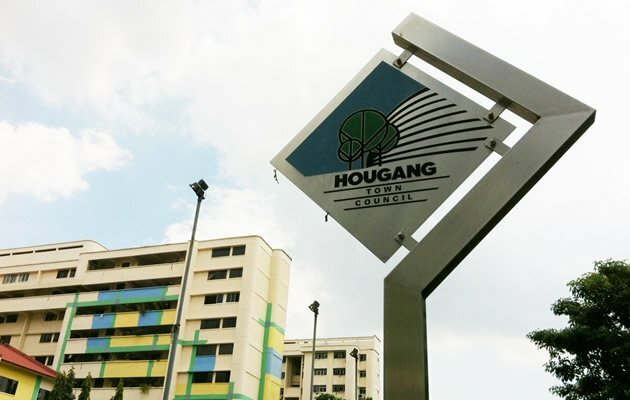 "Hougang is different from the other neighbourhoods. This is a die-hard estate," the taxi driver in his 40s declared. While older residents like the duo might shrug off recent events, younger ones - particularly those who voted for Mr Yaw Shin Leong only nine months ago, in the May 2011 General Election - have been more palpably disturbed and disappointed. First, by the talk surrounding Mr Yaw's alleged extramarital affairs. Then, more importantly, his stubborn refusal to clear the air or come clean. And now, following his expulsion from the party on Wednesday, the news that he had left the country with nary a word to anyone. The last was too much for Ms Peh Liying, 28. "I just think that it's not easy for the Opposition to be able to win more votes than the PAP, and for him to just disappear like that, and having to hold another election again ... it's definitely irresponsible," she said. Sales executive Gwen Tang, 24, who moved into Hougang last year in time to cast her vote - which went to Mr Yaw - said: "A lot of people are really quite disappointed. Last year (during the GE), there was this sense that we were going to support the WP ... And when he got elected, everyone was very excited. And then this (incident) had to happen so shortly after. There was a sense of being let-down." Last May's election saw Mr Low leaving his long-time stronghold in Hougang to contest Aljunied Group Representation Constituency as part of a WP team. Some pundits then had predicted it would be an easier battle for the ruling party to win back the single-seat ward. Newspaper reports reflected conflicting sentiment among Hougang voters. As it turned out, Mr Yaw easily beat his PAP opponent, Mr Desmond Choo, with 65 per cent of the vote. But nine months later, Hougang residents are being put through another political and emotional roller-coaster. For now Mr Yaw remains the ward's MP, with until Feb 24 to appeal the expulsion. If his MP seat is forfeited, a by-election may be called. To another 30-year-old Hougang resident who had voted for Mr Yaw, his disappointment was with the party's pick of Mr Yaw to represent them (although, he added, he still "has faith in their intention as an organisation"). "It's just very unfortunate that they did not know him well enough to appreciate that he was not up to mark. When the occasion required him to behave appropriately, he didn't. Rather, he gave the impression that he ran away just to evade all this attention," said the civil servant who declined to be named. Property agent Kenji Wong, 27, felt the WP did right in sacking him based on his action - even as, at the same time, he felt it was a pity for Mr Yaw. "As an MP, he really did his job, was very approachable. I always saw him mingling with the old people and helping them. He was always seen here at the coffeeshops." But mechanic Mr Wong, 50, was one person who was not sorry to see Mr Yaw go. A resident in Hougang for more than 20 years, he said: "I'm very disappointed. As a people's representative, you shouldn't have affairs." He also said Mr Yaw did not make a good first impression when he was introduced to Mr Wong's friend last year - his face "immediately changed" when told he wasn't a Hougang voter, the mechanic claimed. He preferred Mr Desmond Choo - "I think he is very humble and friendly". Others like Mrs Woo, while let down by Mr Yaw, thought the WP had rallied together and moved forward. Mr Tan Kim Her, another retiree in his 70s, said: "Low Thia Khiang has left too good an impression among residents. People here support the party, not the person." At least a few still wanted to give Mr Yaw the benefit of the doubt, vanishing act notwithstanding. General worker Mr Seow hopes the missing MP will eventually return. "He may have just needed to get away for a while to cool down, get away from the media attention and think things through. What's to say he won't come back?" Then there were residents who just seemed blase about the whole saga. At least two joked about enjoying a public holiday if a by-election were held. One resident of Block 702, who declined to be name, insisted he would rather talk about the bedbugs from a bed in Block 704 that he heard that was giving residents trouble. "The guys from the town council just lifted the whole bed, and the fleas were flying out and sucking people's blood. You guys should go report on that instead!" SINGAPORE - Workers' Party (WP) Secretary-General Low Thia Khiang said he will have to spend more time looking after the residents of Hougang, after the party expelled Mr Yaw Shin Leong this past week. Speaking to reporters at a constituency dinner last night, he said he had spoken to residents at the first Meet-the-People Session after Mr Yaw's expulsion and told them that they could look for him personally. Mr Low has taken over the duties of caring for residents of his former ward. Asked if Aljunied Group Representation Constituency residents would get less attention as a result, Mr Low said he would manage his time as best as he can to prevent this. Asked about the one-week deadline that Mr Yaw had been given by Parliament to appeal his dismissal, Mr Low said it was up to Mr Yaw, who remains uncontactable. Mr Low did not know where Mr Yaw now is, nor of his plans to leave town. As for a possible by-election, Mr Low said it was premature to comment as the Prime Minister has not decided if there would be one. ohh Low has to do a lot of OTs liao. So incumbent party will send which heavyweight to try win back Hougang? no one likes to fight a losing battle....esp for the strong one....its about face as well as morale...who likes to be defeated tagain in such a short time? everybody got PH or not? i want PH!